One of my favorite restaurants that opened last year had to be Main Street. If you haven't been to their quaint little spot along Tuscany in McKinley Hill, then you are missing out on some amazing comfort food. It was in the fresh and modern execution of classic favorites, such as Buttermilk Fried Chicken, Grilled Porkchops, and Griled Steak that sold me on to Main Street. I was blown away before, but upon my return, The brains behind Main Street's Kitchen, Chef Adam Tan, made sure that I was blow away to little tiny smithereens this time, by unveiling his new Weekend Brunch Menu! And friends, it is simply incredible. I don't have breakfast every day. I usually have Brunch. I find that eating around 10:30-11am is perfect, because afterwards, I don't get hungry till around 4pm, so It's just in time to have an early dinner, making sure I have enough time for your food to digest before going to bed. On paper, it sounds like it should work, but it doesn't seem to explain why I'm still overweight hehe. Nonetheless, I believe I have professed my love for all things breakfast food time and time again, so it should come to no surprise to anyone how much I enjoyed the items on Main Street's Weekend Brunch Menu! 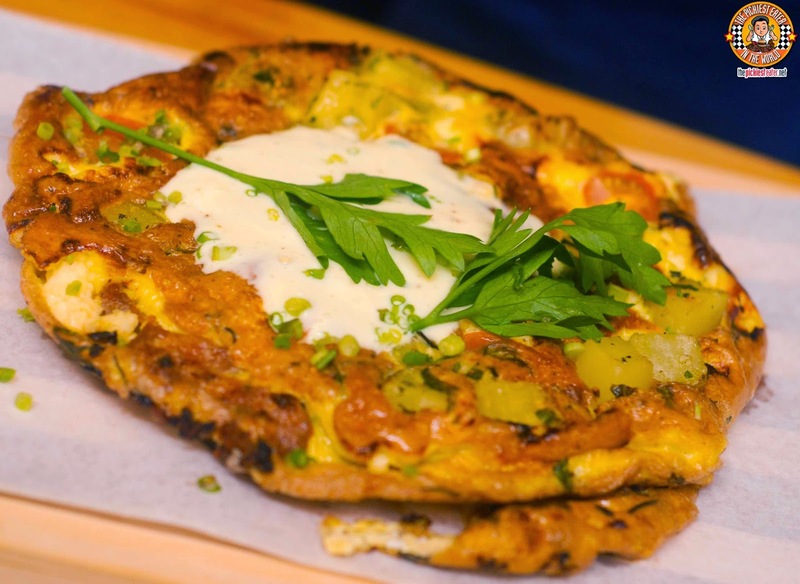 I started off with the Main Street Fritata (P260). I am a huge fan of Potatoes, so I knew I would love this. Three Eggs are cracked and mixed in with some Roasted Potatoes and Fried Chorizo, which gives the dish a sharp punch of savoriness. Cherry Tomatoes, Garlic, Onions, Rosemary, are then mixed in for, an enhancement of flavor, with a luscious Sour Cream Topping serving as tempering medium. It's not too heavy, yet filling at the same time. 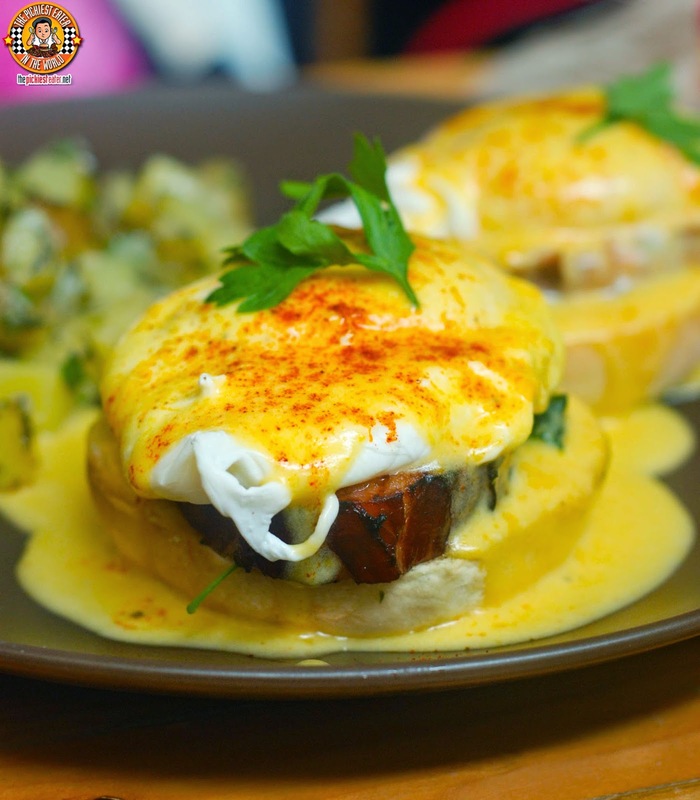 What's brunch without the Classic Eggs Benny (P300), right? Two sides of a soft English Muffin, are topped off with Poached Eggs, Applewood smoked Canadian Bacon, Spinach and Hollandaise Sauce. It is in the harmony of the light acid of the Hollandaise, fusing seamlessly with the gentle smokiness of the Applewood smoked bacon that makes this dish a winner. I'm going to said this already before it starts getting redundant. Main Street's In-House Applewood Smoked Bacon is nothing short of amazing. The marriage of sweet, savory and smokey is embodied to perfection in Main Street's version. If you don't like bacon, for whatever reason (I'm not here to judge.. Weirdo.) 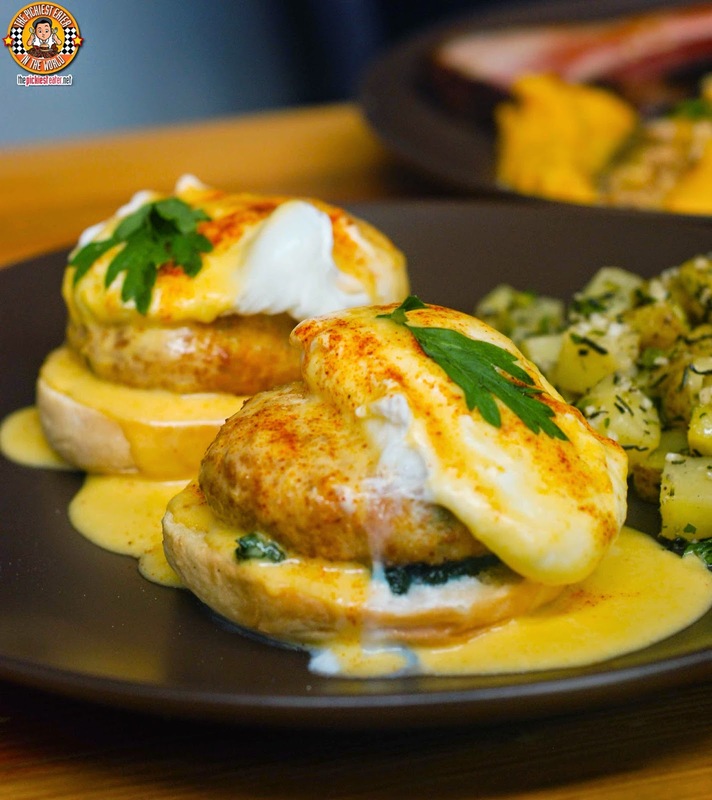 you can opt for the Crabcakes Eggs Benny (P320) Instead. This is pretty much the same as the classic, except with two creamy lump crabcakes replacing the bacon. Very delicious as well, but *surprise surprise*, i prefer the classic. If you're into eggs, I've got a new sandwich (not to mention a new nickname) for you.. Eggslut (P300). 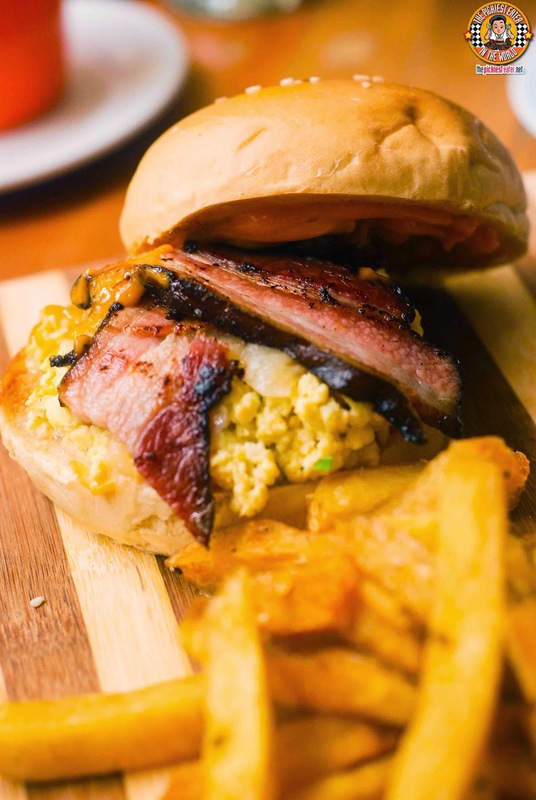 A huge heaping of Creamy Scrambled Eggs are piled on top of a toasted Sesame Seed Bun, and topped off with Applewood Smoked Bacon (there it is again), Slices of melted Cheddar Cheese, and Caramelized onions, for a nice touch of sweetness. Sriracha Mayo is then added for a bit of a zing of flavor. The dish is served with a side of Main Street's Hand Cut Fries, which I also can't get enough of. Another hearty dish that won't leave you feeling bloated (Oh who am I kidding.. 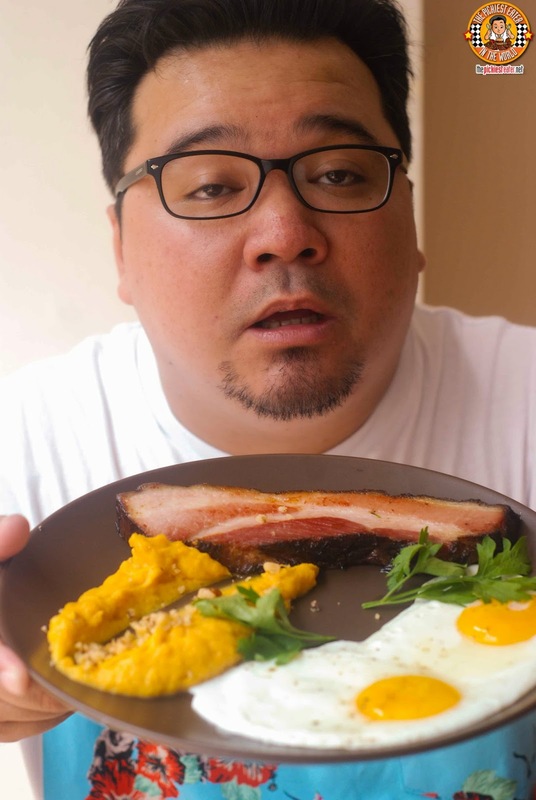 I ALWAYS feel bloated :( ) you should try is the Kitayama Hanging Tender Steak and Eggs (P390). A 200 Gram Tender steak grilled to a nice medium (or to the temperature of your preference.. I'm usually more of a medium well kind of guy). 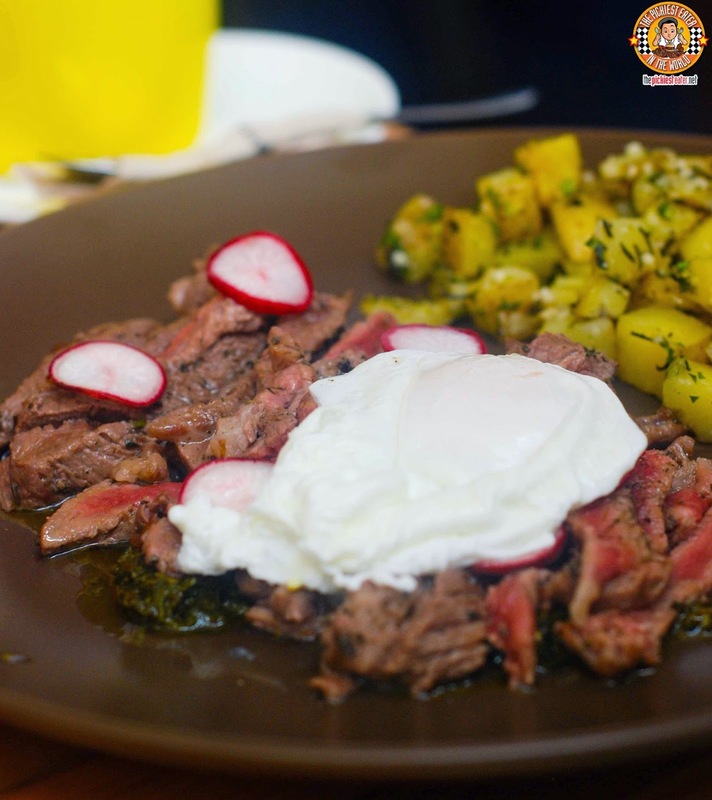 The meat is then laid on a smearing of Salsa Verde, and sprinkled with a bit of pickled radish and served with a side of Roasted Potatoes. "If it's from Kitayama, it must be good." All of the previous dishes are definitely worthy of ordering, however there were two that were in a class by itself. 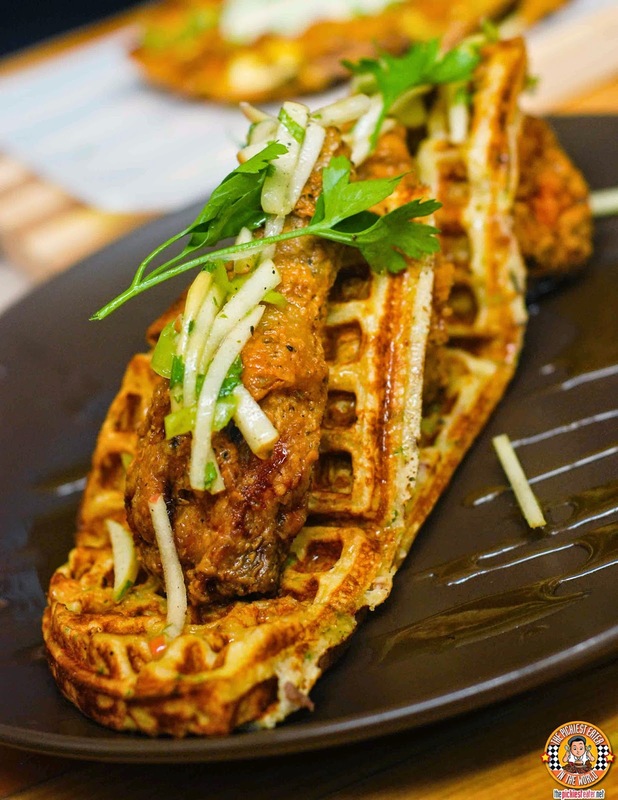 The first was the Buttermilk Fried Chicken Bacon Waffle (P330). In the regular menu, you have three Pieces Buttermilk Fried Chicken resting on a bed of white rice. In the brunch menu, your three pieces of chicken are perched on a delicious Bacon and Chive Waffle, and topped off with a bit of apple coleslaw. Don Papa Rhum infused Honey is drizzled around the plate for a wonderful touch of sweetness. And finally, the crown jewel of the Brunch Menu dish is The Bacon Slab (P320). 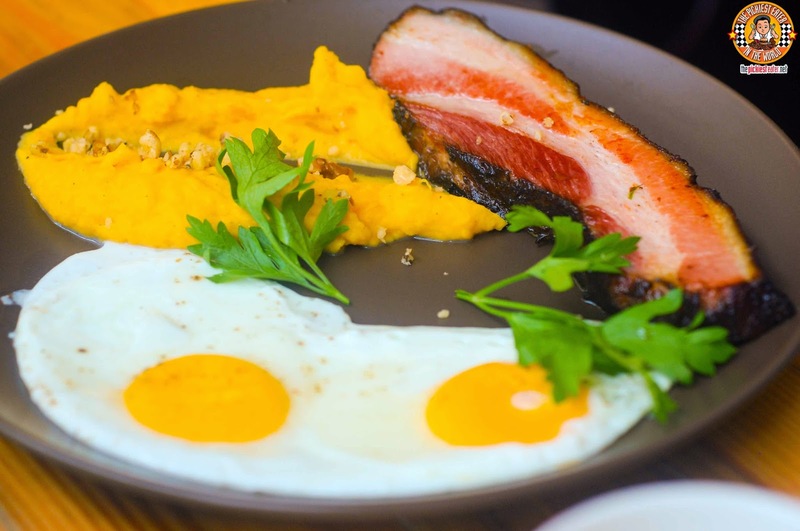 That thick cut Applewood Smoked Bacon I was talking about, is served with two sunny side up eggs, and a smooth Sweet Potato Mash. The Char around the bacon was excellent, giving it a nice caramelization around the edges. YOU MUST ORDER THIS TOO!!! Though it's technically not in the menu yet, Chef Adam gave us a little sample of his Brunch idea that he's been toying with. 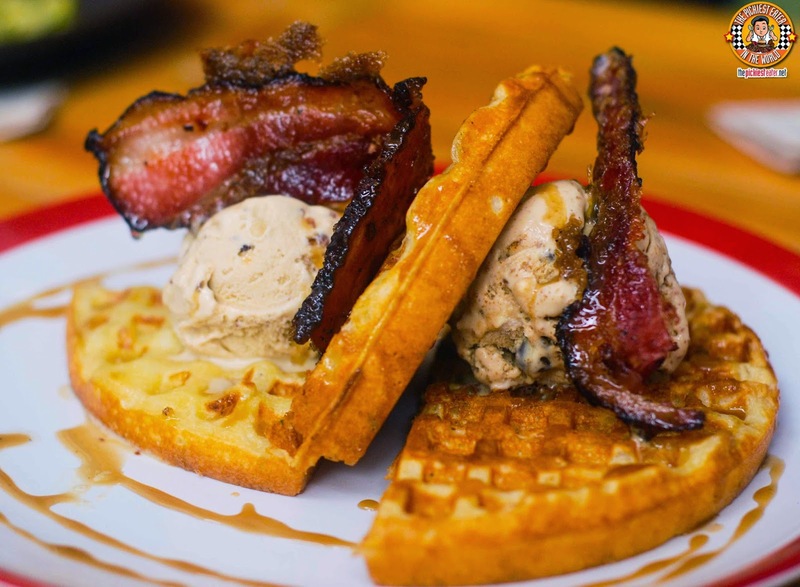 It was the fluffy Bacon and Chive Waffle, topped off with Main Street's signature Bacon Ice Cream, and strips of Candied Bacon. This dessert looked like it was conceptualized specifically for me in mind.. 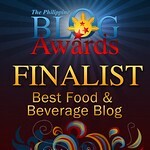 The flavors of sweet and savory playing off of each other wonderfully, with different textures appealing to your sense.. I hope they put it on the menu really soon!! The Weekend Brunch items of Main Street are reasonably priced, especially for the portion size and of course, quality. The liberal infusion of Applewood Smoked Bacon in the dishes no undoubtedly made me a happy man, but even the non-bacon dishes were fantastic. Definitely worth making a trek to Mckinley Hill for during the weekend!